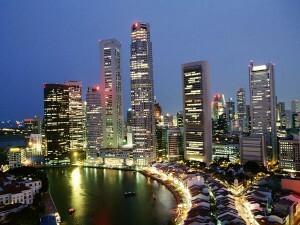 The economy of Singapore is a highly developed state capitalist mixed economy. The country boasts of an open trade environment, is relatively transparent and free from corruption, and possesses stable prices and has one of the highest per-capita gross domestic products (GDP) in the world. 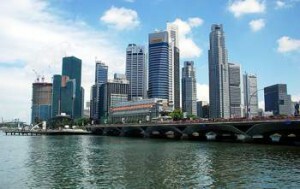 Singapore has been ranked first for having the most open economy for international trade and investment, having the best business environment worldwide. Before gaining independence in 1965, Singapore enjoyed a per capita GDP of $511, which was then the third highest in the entire East Asia. After gaining its independence in 1965, the first Prime Minister of the republic – Lee Kuan Yew, the deputy Prime Minister – Goh Keng Swee with the help of the Dutch economist Albert Winsemius crafted a modern economy employing a course of foreign direct investment and a state led initiative for industrialization. In fact it was through Winsemius’s efforts that Singapore transformed itself from an entrepôt trading port to a centre of excellence in manufacturing and industrialization. Singapore lacks in natural resources which is why it buys the raw materials and then refines them and re-exports them.